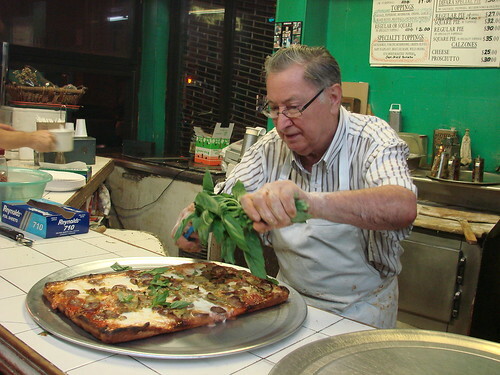 If you guessed Di Fara, you're right! 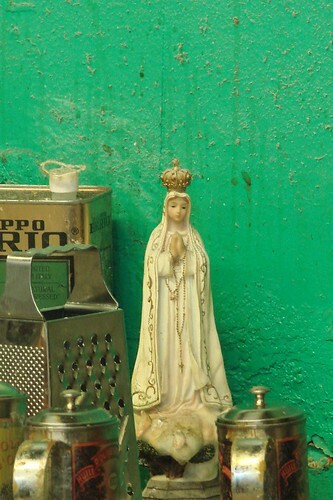 If you look to Dom's left in the photo below you'll noticed a little Virgin Mary statue watching over the other virgins (of the extra virgin olive oil variety) and the pizza production at Di Fara's. I went to Oh Nuts yesterday to get chocolate pebbles for my mom (doesn't everyone do that at Thanksgiving?) and was excited to stop by Di Fara's for lunch. But I forgot they close on Mondays. Boo. And then you write this. Stop taunting me.